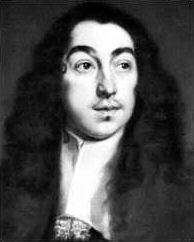 The composer Matthew Locke (1621-1677) made much of his living composing incidental theatre music for the plays of Restoration London. This music, composed in short movements, embodies the vitality and contrasts of Restoration theatre - bawdy, tragic, comic, seductive. This music survives in a volume of over a hundred pieces named The Rare Theatrical - the music severed from its original dramatic context. Having always been fascinated by this volume and intrigued by the hidden possibilities within the scores, I was thrilled to be supported by Arts Council England and Aldeburgh Music to investigate it further. I gathered a crack group of musicians, dancers, actors and designers and took this music to Aldeburgh in Suffolk where we worked intensively for a week on finding what was so 'rare' or uncommonly theatrical about these short pieces of music. The aim was to explore the maximum potential of these pieces in different guises and to see how we could find a context for contemporary performance of them. The results were amazing! Each little piece when played alone seemed all too fleeting and emotionally unfulfilled, and yet with some choreography, or some physical theatre, or some text read over the top of it, it jumped with life and conviction. You can hear an example of this work below - a short tune called 'Jane Shore' in three different guises!